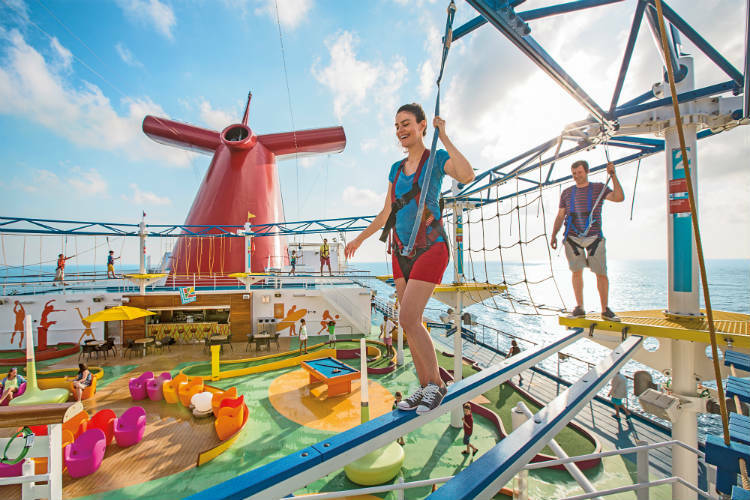 From a SkyRide across the clouds to a lip-sync battle to remember, Carnival Cruise Lines offers some of the most entertaining and exciting ships for families to cruise on. 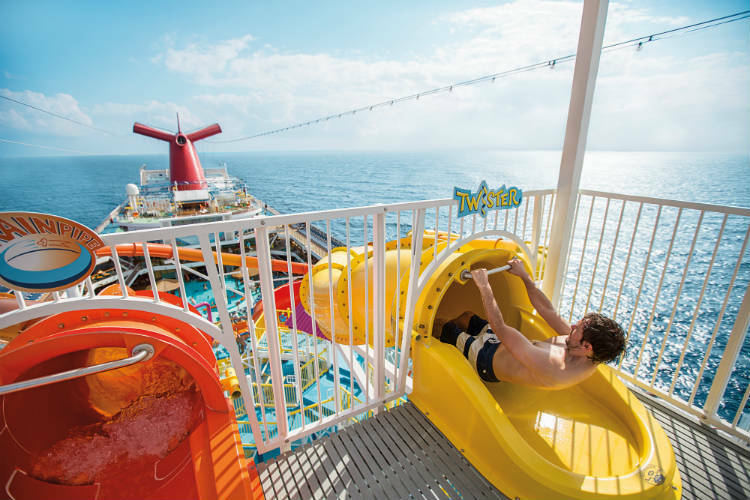 With their iconic red, white and blue funnels, thrilling waterslides and indulgent dining options, let’s delve into what makes a Carnival cruise ship so much fun for all. Carnival has a fleet of 27 ships, including two which are yet to set sail: Carnival Horizon – launching later this year – and Carnival Panorama – launching in 2019. Ships are split into eight classes: Vista, Dream, Splendor, Conquest, Spirit, Triumph, Sunshine and Fantasy. 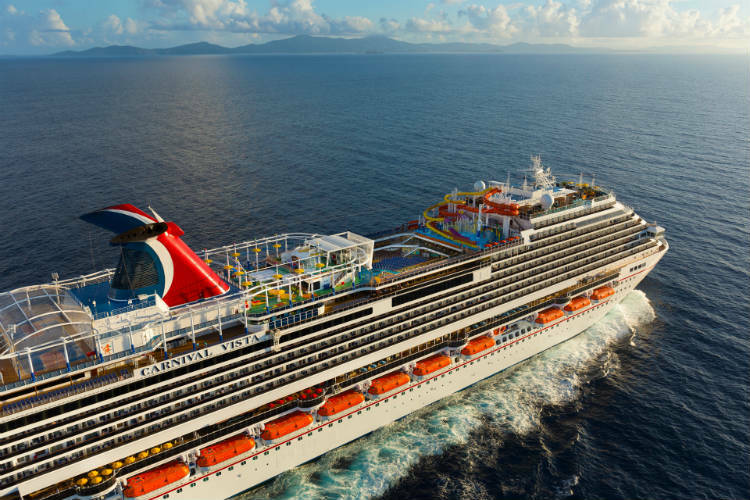 The newest active ship in the Carnival fleet is Carnival Vista, the biggest cruise ship in Carnival’s fleet offering a gross tonnage of 133,500. This is an iconic ship as it is the only one featuring the SkyRide – a twin track-suspended bike course offering panoramic views and adrenalin rushes. Many of Carnival’s ships cruise to the Caribbean, visiting iconic ports such as Barbados, Aruba and Curaçao, though individual ships tend to venture further afield. Carnival Splendor and Carnival Legend cruise to Alaska and Hawaii, while Carnival Paradise and Carnival Sensation set sail for Cuba. Following her maiden voyage, Carnival Horizon will offer transatlantic cruises alongside visits to Europe. Which cruise ships are in the Carnival fleet? Carnival certainly lives up to its motto, ‘Fun for all. All for fun.’ You can enjoy spectacular live shows and games such as Lip Sync Battle: Carnival, an on-stage adaptation of the Paramount Network series; legendary Carnival LIVE shows featuring musicians, comedians and top entertainment; and Hasbro, The Game Show, an interactive show jam-packed with fun for all the family as you battle to win great prizes. For exclusive experiences, enjoy Seuss at Sea where you can delve into the whimsical and wonderful world of Dr Seuss. From interactive story time and character parades to breakfasts, your children are sure to love every second of these Seuss-a-paloozas! Moving outdoors to WaterWorks, send yourself dizzy on one of the fastest waterslides at sea, the Twister Waterslide. Don your suit for the Speedway Splash, featuring 100-feet of racing action and special lighting effects. This signature on-board waterpark features across the whole of Carnival’s fleet, meaning each ship boasts some of the best water slides at sea! For the adults amongst us, have no fear! There are plenty of options if you want to take a step back into the realm of ultra-relaxation. The Serenity Adult-Only Retreat offers a place for complete peace and quiet, enabling you to sit back and enjoy the sea breeze while your little ones play the day away. The Cloud 9 Spa offers massages, facials, body wraps, thermal suites and more, making it perfect to unwind and recharge. 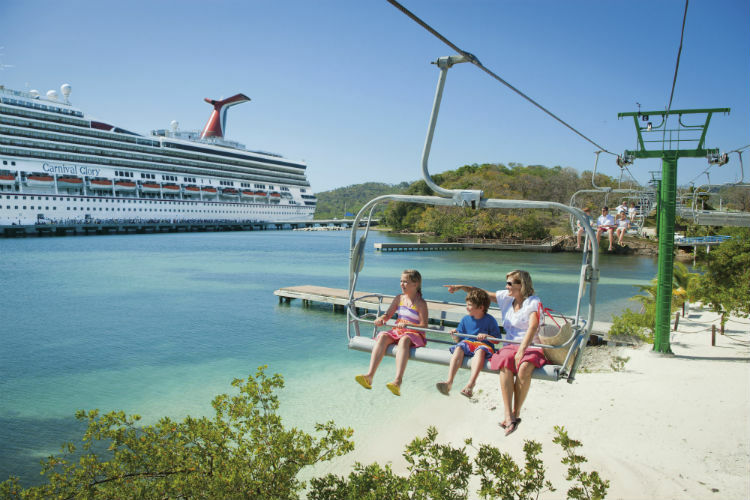 Carnival is the perfect line for family cruises. Take in a film at the Carnival Seaside Theater™ where you can put your feet up and enjoy Dive-in Movies. Watch recent blockbusters with popcorn and blankets from the comfort of your poolside lounge chair, or even the pool itself! Challenge yourself and the family to the SkyCourse: a high ropes course set across two levels that is great for hair-raising thrills! Why not make it a competition to see who gets the furthest or completes in the quickest time? With such an abundance of exciting activities and facilities, matched effortlessly by a fun-loving ethos, Carnival cruises are the perfect home-from-home for families. Sailing to some of the best-loved destinations around the world, their ships are great for long days at sea and nights docked in port. 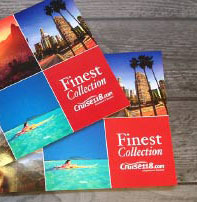 Here at Cruise118.com, we offer a whole range of exciting itineraries and destinations to cruise to on-board incredible Carnival cruise ships. Call our Cruise Concierge team on 0808 1234 118 for competitive pricing, award-winning customer service and assistance with any questions you may have.